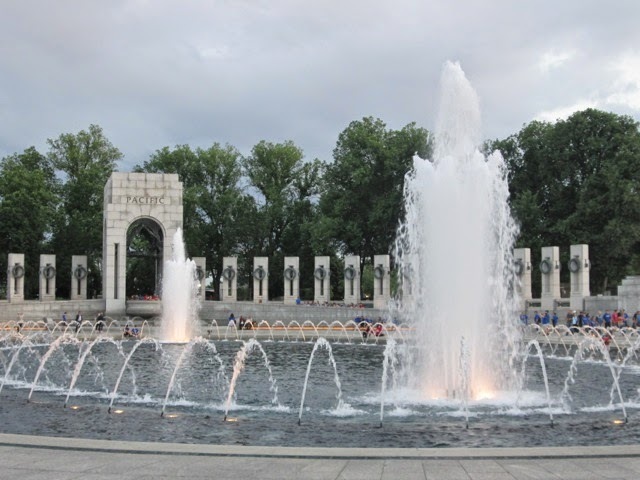 On this Memorial Day, I’d like to recognize our country’s striking memorial to the American servicemen and women of World War II. 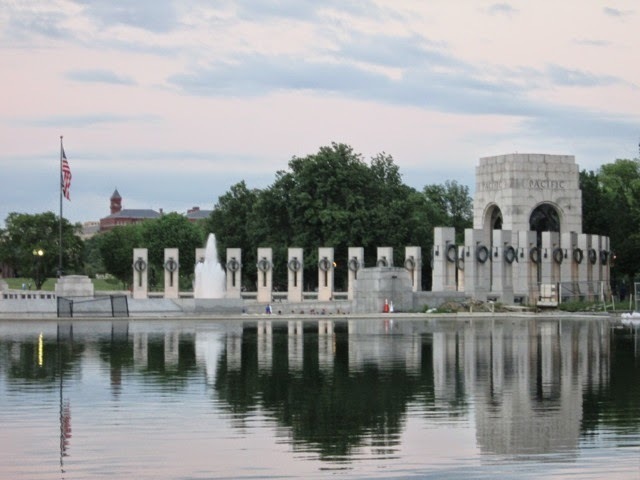 The National World War II Memorial in Washington, D.C. is a beautiful and stirring tribute to those who fought to defend democracy in a terrible war waged on two fronts. Dioramas leading into the center of the memorial illustrate some of the soldiers’ experiences, starting with enlistment and saying good-bye to loved ones. This diorama depicts the landings on the beaches of Normandy on D-Day, May 6, 1944. 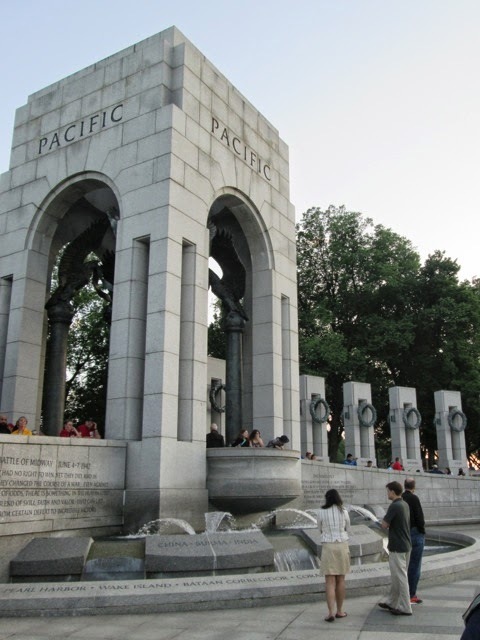 One side of the circular memorial is dedicated to the Atlantic theatre of operations, and the other side to the Pacific. 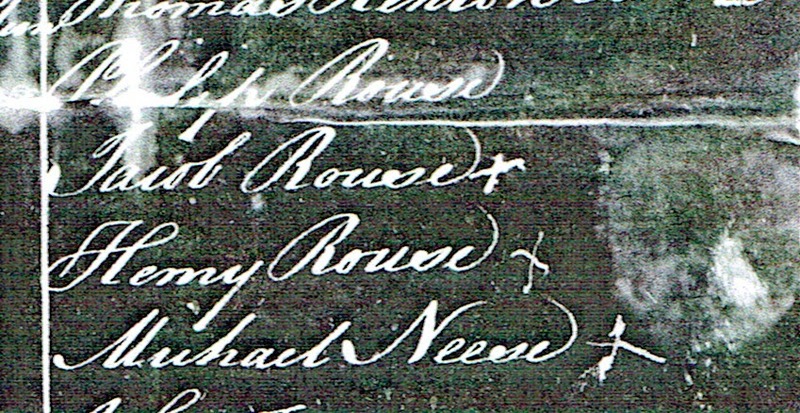 The names of battle sites and operations for each theatre are engraved around low fountains. 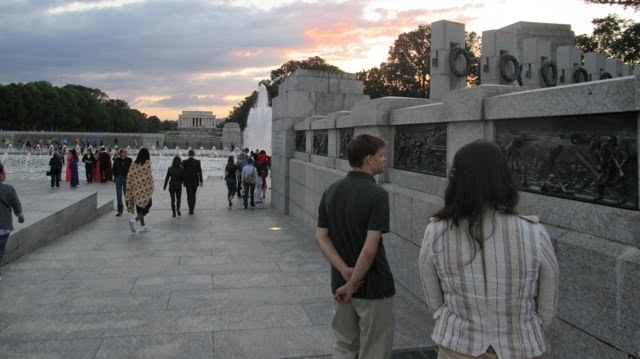 A colonnade of wreath-adorned pillars—one for each state—rings the perimeter. 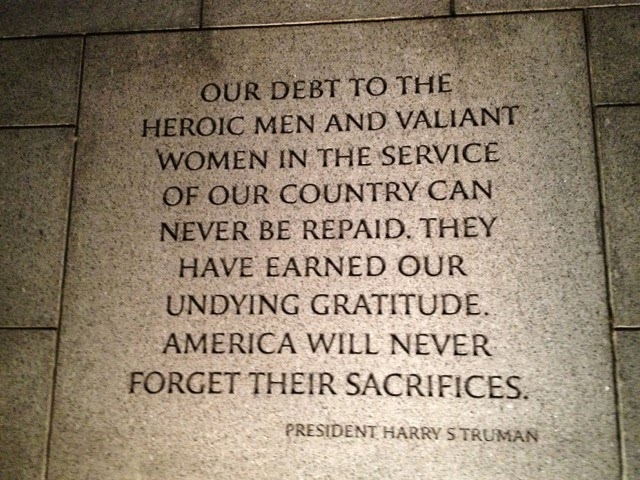 Engravings recall memorable quotes by presidents and generals. 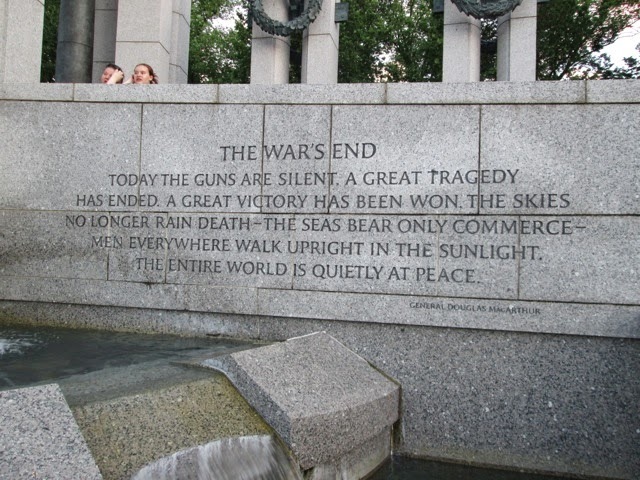 Some were originally meant to encourage men in the thick of battle, while others, like this one by General Douglas MacArthur, commemorate peace. 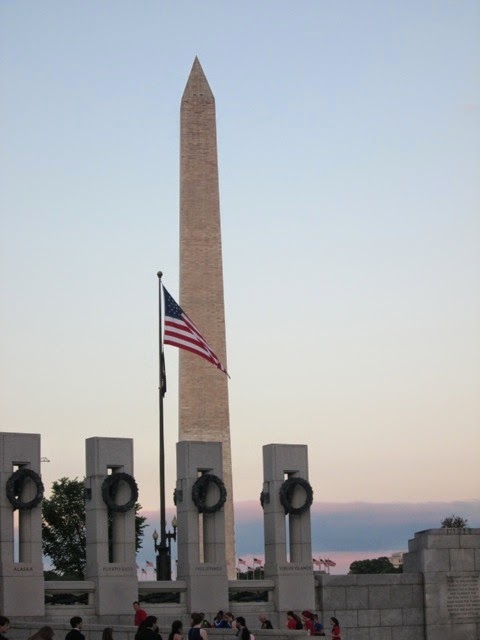 The Washington Monument provides a fitting backdrop for the World War II Memorial. Across the wide expanse of the Reflecting Pool, the Lincoln Memorial stands in silent tribute to the sacrifices of another terrible conflict, the Civil War. 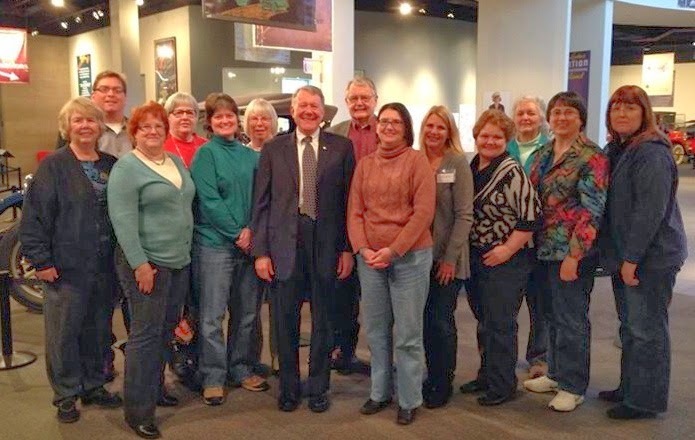 Richmond, Virginia, has been buzzing with genealogists all week. 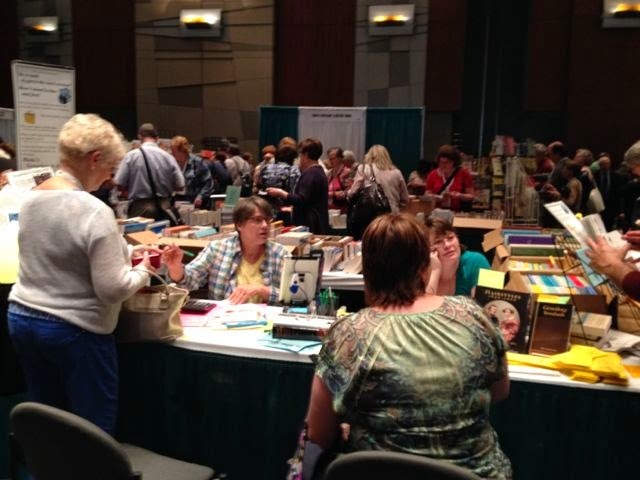 Thousands of attendees of the 2014 National Genealogical Society Conference enjoying four days of presentations—and each other’s company—have packed the downtown area. With ten session choices for each time period, a full slate of evening activities, and a busy exhibit hall, there hasn’t been a dull moment. 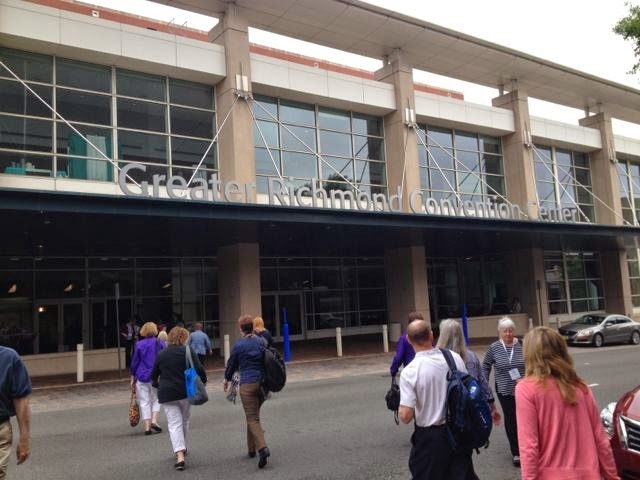 Sessions are being held in both the convention center and the Marriott, just across the street. It felt nice to step out into the sunshine for a few moments while crossing to attend sessions in different buildings. Lecture rooms for the most part have been comfortably full. As expected, though, lectures by Elizabeth Shown Mills and Tom Jones were packed. The exhibit hall is spacious and easy to get around. 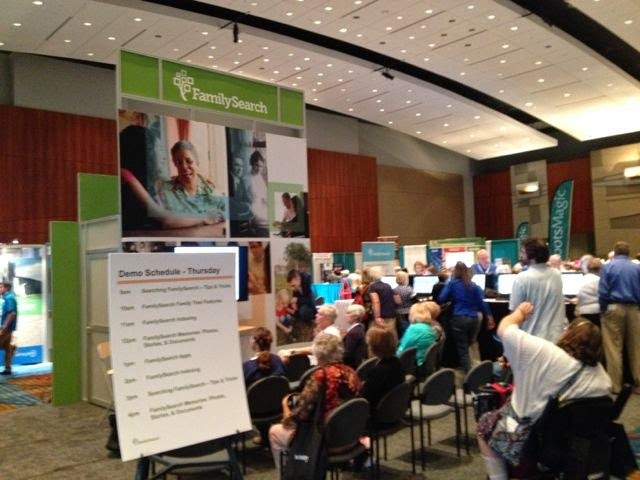 Major vendors like FamilySearch, Ancestry.com, and FindMyPast have large displays with demonstration areas. 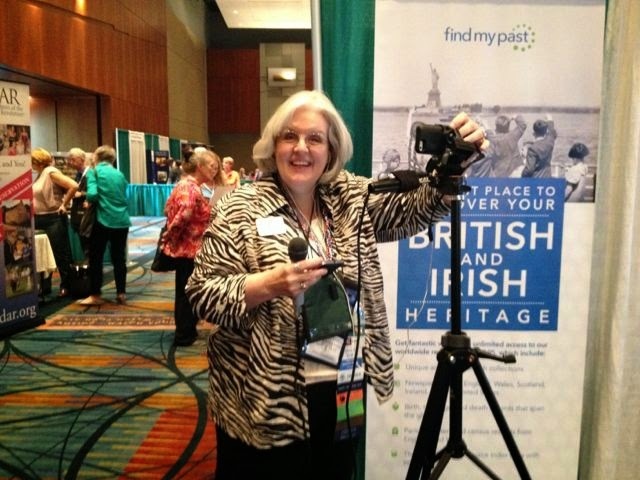 DearMyrtle traveled around the exhibit hall doing spontaneous interviews with her “Ambush Cam.” Here she is in action. 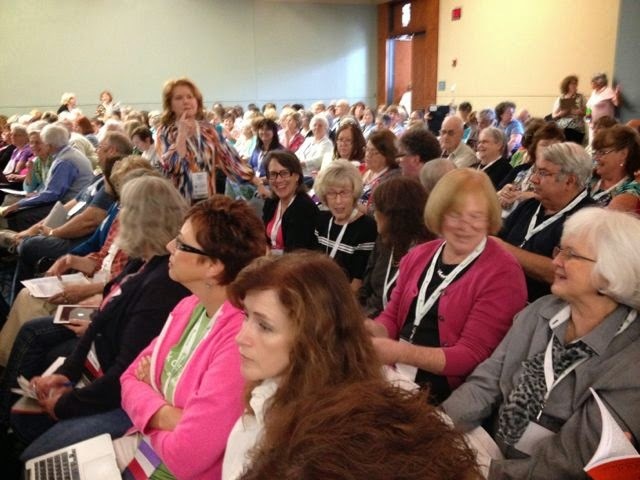 Maia’s Books always draws a big crowd at every conference. 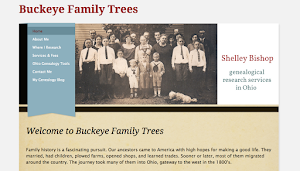 Genealogists love books! 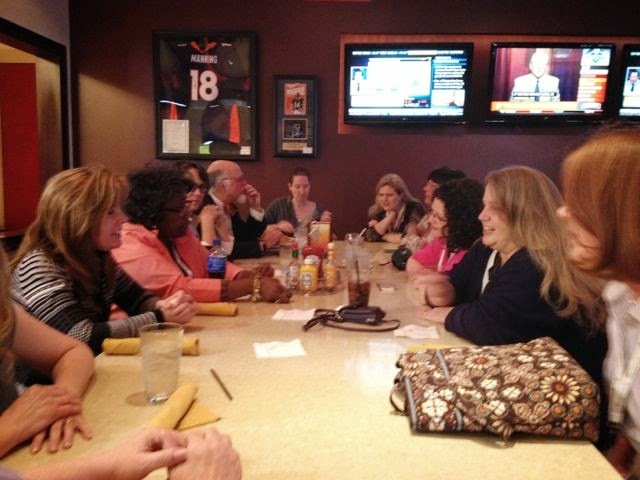 At the end of the day, it’s nice to sit and “talk shop” over dinner.